Walton Service Management System Job Circular 2018. 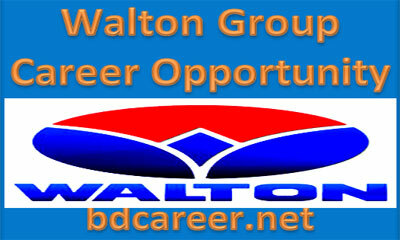 Walton Group is one of the most popular Groups in Bangladesh. To enhancement their present management team, they are seeking for smart, energetic, active, Professional and Practical specialists person. Walton Service Management System, a sister concern of Walton Group will recruit for numerous total various Posts published an appointment advertise on See the attached image job circular for details. Interested and suitable Bangladeshi Citizenship applicants are invited to apply after fulfilling the circularized conditions and instructions. Deadline for Submitting Application is See the attached image job circular for details. Interested candidates may Apply through Handwriting Application, Bio-Data as per the circularized conditions and instructions (below). 1 copies of the recent passport attested color photograph with other related documents as per the circularized conditions and instructions (below) and will be sent to The First Senior Deputy Director, HRM, Department of Admin, Walton Service Management System, Alam Mangil, Malibagh Chowdhury Para, Dhaka-1219. Or, email-[email protected]. The Name of the post must be written on the left side on the envelope clearly. Application reaches within office time within See the attached image job circular for details.